Happy New Year! It’s 2017, a fresh new year for improving your financial security and investment portfolio. It’s also a great time to set New Year’s Resolutions for the year ahead. Some appropriate resolutions would be to find a compelling self-storage facility investment to buy, or to improve the net income on the one you already own. We have always been huge advocates of goal setting and building workable plans to enact those goals. We are also big believers in the old adage “think like a man of action and act like a man of thought”. The best way to achieve results is to become highly educated on what you’re trying to do, and then building action steps that force you to take your knowledge and make use of it. 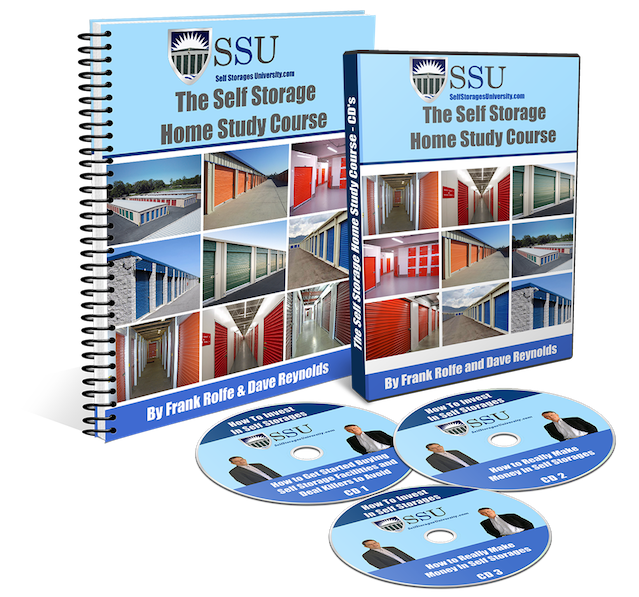 And we’re committed at www.SelfStoragesUniversity.com . It’s virtually impossible to buy real estate today without entering into negotiations. Sellers want more and buyers want to pay less. We’ve been negotiating for over 30 years, and here are the top five lessons we’ve learned about successful negotiation. 1) Be easy to sell to. Many buyers are their own worst enemies. They make appointments and then cancel or show up late. They tell the seller “I’ll have that contract to you tomorrow” and then it shows up two days later. They don’t return the seller’s call because they know he’ll want to talk on the phone for an hour. These type of behaviors will destroy your ability to negotiate. Instead, you need to be “easy to sell to” which means that you go out of your way to extend all courtesies to the seller. You need to pretend that you are a salesperson at Neiman Marcus and the seller is a VIP customer. When you put in above-average effort to accommodate the seller, they return the favor with a lower price and even seller financing in some cases. 2) Think win/win and use a consultative approach. There are two different types of negotiating: win/win and win/lose. We only use win/win for the simple fact that older sellers with no debt can’t be bullied. Win/win negotiating has as its basic mandate that both the buyer and seller walk away from the transaction happy. Win/lose means that the buyer is happy and the seller is unhappy with the final result. Win/lose is common in buying distressed properties, such as those going into foreclosure. The seller is on the ropes and you are trying to push them to get the property for as little as you can. But this style of negotiating simply does not work when there is no financial pressure on the part of the seller, which is why it is rarely used in self-storage investing. So if win/win is the way to go, what does that mean exactly? First of all, it means that you should understand that your goal is to represent both sides of the transaction – both as buyer and on behalf of the seller. You are trying to derive the fair deal for all parties, and that pushes you into a “consultative” role on the part of the seller. This is key. Once you take on the role as the consultant to the seller, you will be hard to stop as the seller will look to you for guidance, ensuring that a good deal will be made. For example, if you (as the “consultant”) say “your road needs $5,000 in pothole repair, and here are three bids, with $5,000 being the lowest” then the seller is impressed that you put in that effort to get the three bids and that you went with the lowest. So when they ask you “how’s the loan application process going?” and you say “the banker is on vacation for a week” the seller will grant you an extension. It’s all about trust and establishing that you will not be happy unless the seller is happy. 3) Have a walk-away price. You cannot start the negotiating process on a self-storage facility without establishing a “walk away price” which effectively means the price in which you quit. For example, if you are looking at a property and $746,000 is the most that you can pay and still have a good deal, then you will absolutely not buy it for $747,000 or higher. You have to set this upper limitation because it’s human nature that you will rationalize and tell yourself “but it’s just $1,000 more”. Auctioneers know this human weakness, and that’s why at auction they’ll say “come on, it’s just a little more”. After ten times of going back and forth with “it’s just a little more” at the auction, you just horribly overpaid for the property. But when you have a firm “walk-away price”, you will guard yourself from such mistakes. Even more importantly, you will send the message through body language that you have reached your upper limit, and that signal will be picked up by the seller. We have purchased many deals in which we “walked-away” only to have the seller call us later and say “OK, I’ll take it”. If you don’t set a firm boundary, then this can never happen. 4) Understand the mechanics of negotiation. Negotiation has some rules of engagement. The buyer starts low, the seller counters high, and then the final price is somewhere in between. Good buyers know that this is the theory and appreciate the fact that the seller will feel disappointed if there is not a negotiation “dance” at the start of the transaction. Here’s the best way to do your homework on how a standard negotiation works: watch an episode of Pawn Stars and American Pickers on the History Channel. These shows are a continual negotiation of items, and you will immediately notice the consistent back-and-forth that goes into negotiation. You will also notice that, at the end, there is typically some degree of tension on the final, final price. That signals to both buyer and seller that the final limitation has been derived. If the seller does not end up at that point, they will feel that they offered the property for too little – and the buyer will feel that they paid too much. This is one of the key parts of negotiating that most people never talk about. “Bonding” means establishing a friendship with the seller so that you are more than just another buyer. In keeping with this elevated status, you will receive a better price and/or terms. The best way to start the “bonding” process is to ask the seller “so how did you come to own this property” and then listen to the answer it if takes three hours. Normally, as the buyer, the best way to bond is just to give the seller unlimited time. Listen to them, talk to them on the phone or in person, hang- out with them at every opportunity. The more the seller likes you the hard it is to tell you “no”. We have hundreds of amazing bonding stories in which the seller liked us so much that they were willing to bend over backwards to make us the buyer, even when there were bumps in the road on appraisals and loans and other items. Negotiation is a very important part of the acquisition process. Even if you are the best in the world at identifying and evaluating properties, it means little if you can’t get them under contract at a great price. But negotiation is a learned skill, and you can quickly figure out the dynamics if you follow these suggestions. One of the primary constraints of buying self-storage facilities is lacking infinite capital. Most buyers use their cash for down-payment, and then can’t buy another property until they sell or refinance that one. However, there are some other strategies for raising capital to buy self-storage facilities – some of which are fairly new. Here are some concepts to investigate in 2017. Also known as SDIRAs, these investment vehicles allow you to tap into IRA investments that were formerly languishing in stocks and bonds and earning zero return. You cannot use your own IRA to buy your own self-storage facility, but it’s a great way to find investors for your projects. Most people view their IRA as a longer-term investment horizon, and are more willing to invest in real estate or something with a theoretical 10 year investment horizon because they can’t tap into that money for decades. You can convert a traditional IRA into a SDIRA for around $500, through such companies as EquityTrust. The Jumpstart Our Business Startups Act (JOBS for short) was signed into law in 2012. This unique legislation allows you to raise money in methods not allowed since 1933, through certain exemptions from the SEC. These include the Reg. D series and crowdfunding. These are highly complicated options that you must research and execute in 100% conformance with the law, but can offer you the ability to raise capital to buy self-storage facilities. You should not proceed with these options without consulting with an attorney, as they will require a legal setup to be valid. One of the best advisors on this type of capital raising is Gene Trowbridge at www.CrowdFundingLawyers.net. This is the future of alternative investments, and you may be getting in on the ground floor, as this is a very recent development. While some people buy that first self-storage facility and stop there, others use that as a portfolio piece and raise capital from others to continue to build their portfolio. Investigate these options and see if one is correct for you. Self-storage works best in areas that are growing at a rapid pace. These are markets where people are rapidly moving in and out, and need somewhere to store their belongings. 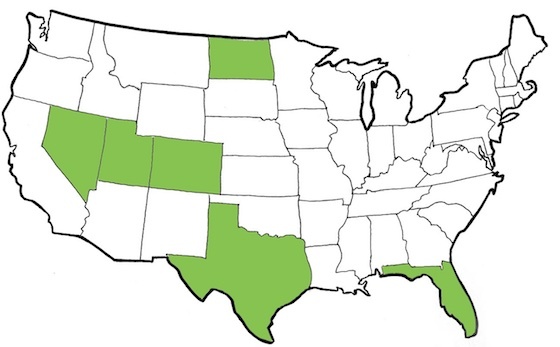 So logically, the best markets for self-storage are those with the highest population growth. So what are those markets in 2017? While the second most populous state in the country, Texas is also one of the fastest growing. Currently around 27.5 million people call Texas home, up 1.8% from the year before. Texas had one of the highest birth rates in the country along with one of the lowest death rates. The population grew by 271,661 people from migration over the same period. An average of 1,263 people have joined Texas’ population each day, the fastest such growth of any state. A strong economy has kept unemployment low, which has likely helped attract new residents, and increases demand for self-storage. Unlike Utah and Texas, migration accounted for the vast majority of Florida’s growth. Over 92% of new Floridians moved to the state, one of the highest migration rates in the nation. According to the U.S. Census Bureau, Florida overtook New York as the third most populous state in the country in late 2014. Nevada’s population expanded from 2.8 million to 2.9 million, a 1.9% increase, between 2014 and 2015. Migration accounted for the vast majority of this growth. While Nevada’s population growth in the past year was the third fastest in the nation, it was also third fastest over the last decade. Nevada’s growth since 2005 was 19.7% which is more than double the 8.4% national population growth rate. Colorado’s population growth of 1.9% over the past year was the second largest among all states. As with most of the fastest growing states, the population increase in Colorado was due primarily to migration rather than births outpacing deaths. In tune with other fast-growing states, Colorado’s strong job market seems to be a major factor attracting new residents. And, of course, strong economies lead to greater accumulation of items to store. North Dakota’s population has grown faster than that of any other state for nearly a decade. The state’s population grew by 2.3% over the past year, and it grew by 18.9% over the past 10 years — each among the highest growth rates of any state. However, this is one state that may not be working well for self-storage. With the fracking boom in decline (the largest driver to the North Dakota economy) the future stats may not be so healthy, so this is one state that you need to be careful in. Self-storage has done consistently well in areas of fast growth. Increasing populations mean much greater movement and affluence and this results in higher storage demand. These six states are leading the charge on growth.